The Guild would like to thank Five Island Farm in Georgetown for becoming a Sponsoring Partner of the Maine Cheese Guild for 2010-11. Our Sponsoring Partnership program will provide members with an easy way to forge relationships with Maine cheese makers to understand how and why they make the award-winning cheeses that are being recognized around the world as the best in their class. Support from our Sponsoring Partners significantly contributes to important Guild work: exploring the world of cheese; developing and improving the skills of our cheese makers; and maintaining our high standards for transforming excellent Maine milk into a world class product. 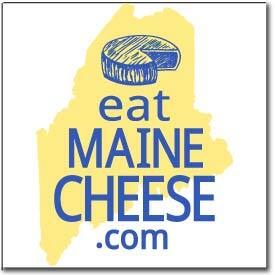 All of this will accelerate the training of new Maine cheese makers, as well as the development of new Maine cheeses by existing cheese makers, increasing the supply of outstanding Maine cheese in this state, and beyond.